The Ellipse Tool (L) draws ellipses and circles. 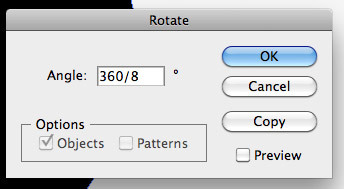 Hold Option while clicking the Rectangle Tool button and you’ll click through your Shape Tool choices. If you want to draw numerically: You can select any Shape or Line Tool, click anywhere you want on your artboard and its dialog box will open up. Then you can just enter your measurements and click OK. Your specified shape/line will then appear on your artboard. • Click and drag to draw. • Holding down the spacebar allows you to freeze and freely move your shape around while still drawing. This works with all the Line and Shape Tools. • After drawing, you can click once to open the dialog box and see what the settings are for what you’ve just drawn. Click OK if you want to copy it, otherwise click Cancel. NOTE: The trick with using any Modifier Key (e.g. Command, Option, etc) is to remember to always release it AFTER you release the Mouse. • Option/Alt lets you draw originating from the center. • Shift lets you draw a perfect circle. 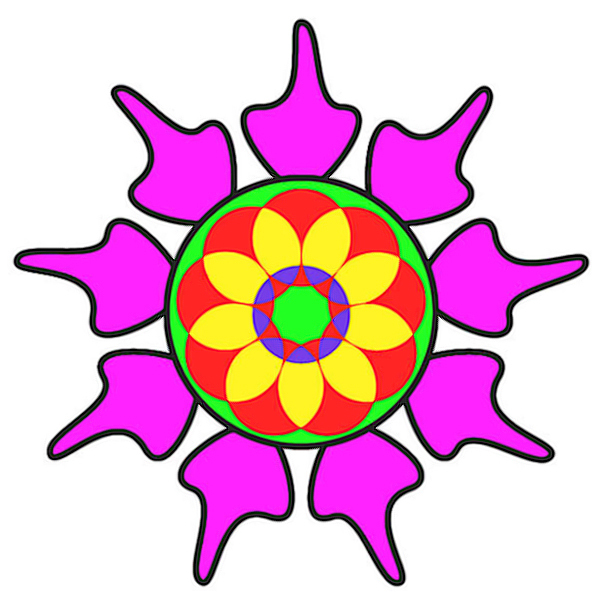 • Shift-Option lets you draw perfect circles originating from the center. Making a shape mathematically duplicate itself along a circle sounds like something illustrator would handle flawlessly. Follow these easy steps to duplicate a shape along a circle perfectly every time. 2. Create your circle that will define the path for rotation and orient the two so that your shape is seated the way its soon to be clones should be. 3. 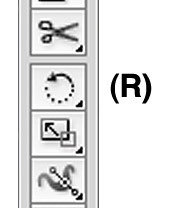 With your shape selected hit the [ R ] key or select the Rotate Tool from your toolbar. 4. While holding Option down click on the center of the circle you made. This is important. When you are done – hit COPY. (not “OK”) – Hitting copy will create a single copy of your shape. Then hit CMD-D to duplicate the rest of the way until you have perfectly rotated your shape around a circle in the exact increments you wanted. And if you don’t like the shape or number of shapes. It’s an easy process to replicate until you do.